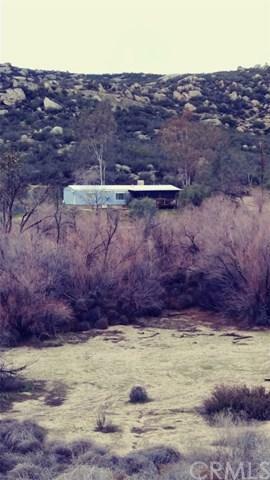 Manufactured Home in Reed Valley on 40 Acres. Home features 3 Bedroom and 2 Baths along with a separate office. One car Garage/Workshop detached from home. Private Well producing 7+ gallons as tested 2 years ago. Most of property is gently sloping and has an additional building pad at back of property. Rear of property backs to RCA Land .24 hour notice to show.